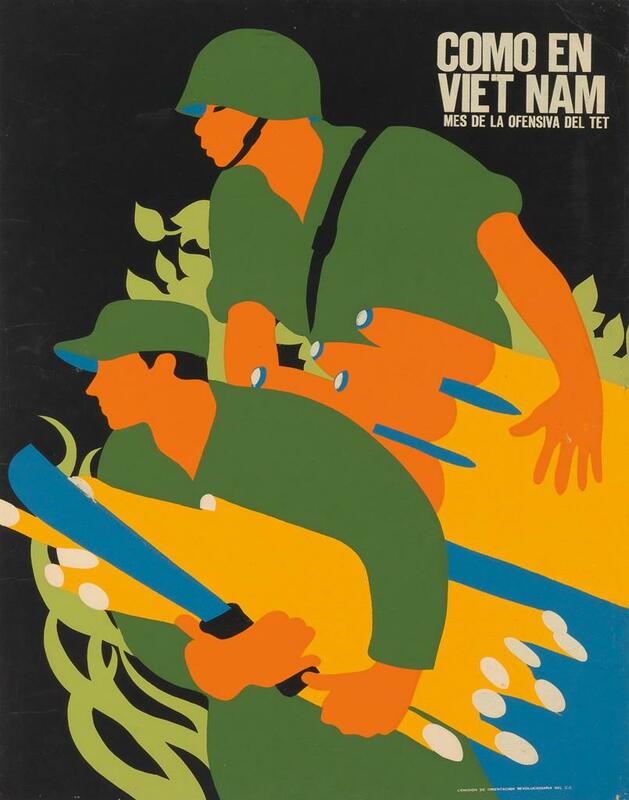 History of Cuba and Vietnam: Posters by Rene Mederos. These posters by Cuban artist Felix René Mederos Pazos were the product of a trip Mederos took to Vietnam in 1969, on assignment from the Cuban government’s Department of Revolutionary Orientation. Cuban artists often addressed international subjects, in alignment with the Cuban Revolution’s political focus. 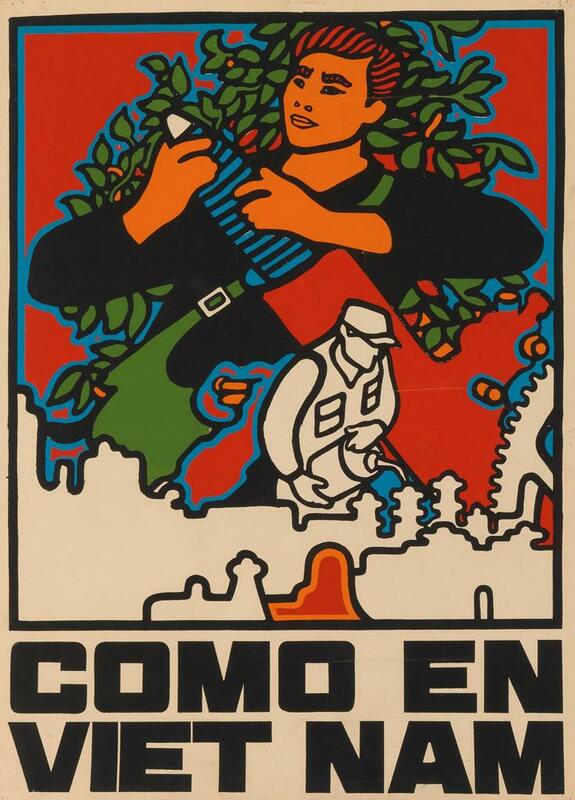 (Other posters produced around this time expressed solidarity with anti-colonial guerrillas in Angola, Black Panthers in Watts, California, and the people of Hiroshima, Japan.) 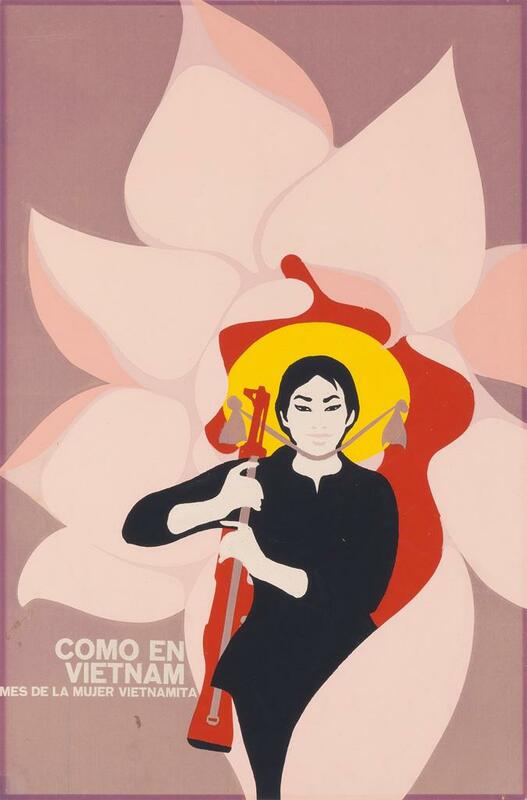 These Mederos posters repeated the slogan “Como en Vietnam,” which was meant to encourage Cubans to emulate the resourcefulness of the North Vietnamese in their daily lives. Political art coming out of Cuba in the 1960s and 1970s enjoyed broad international distribution. Mederos’ posters were exhibited at the Galeria de la Raza in San Francisco’s Mission District in 1970, influencing Chicano poster artists in the United States, and reprinted to raise funds for medical aid to Vietnam. Also in 1970, Cuban political posters, including some by Mederos, were the subject of a coffee-table book with an introductory essay by Susan Sontag. René Mederos, “FNL de Viet Nam del Sur,” 1969. René Mederos, “Como en Viet Nam, Mes de la Ofensiva del Tet” (Month of the Tet Offensive), ca. 1970. 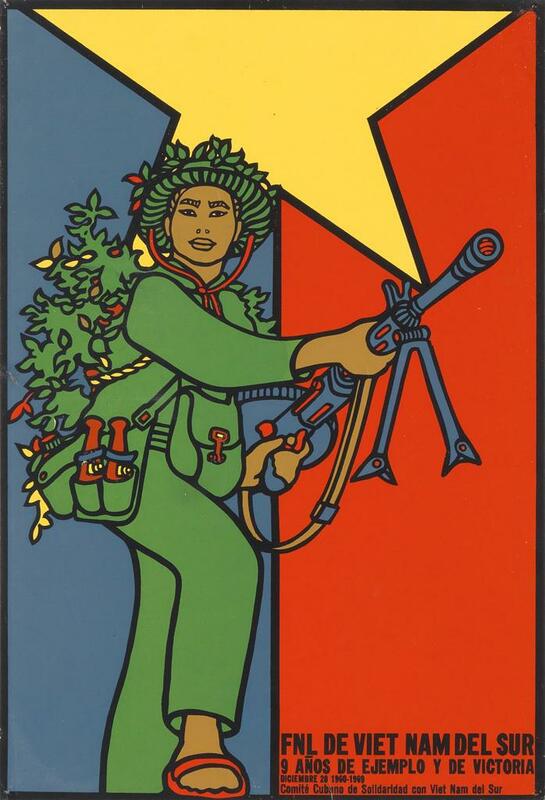 René Mederos, “Como en Viet Nam, Mes de la Mujer Vietnamita” (Month of the Vietnamese Woman), ca. 1970. René Mederos, “Como en Viet Nam,” ca. 1970.